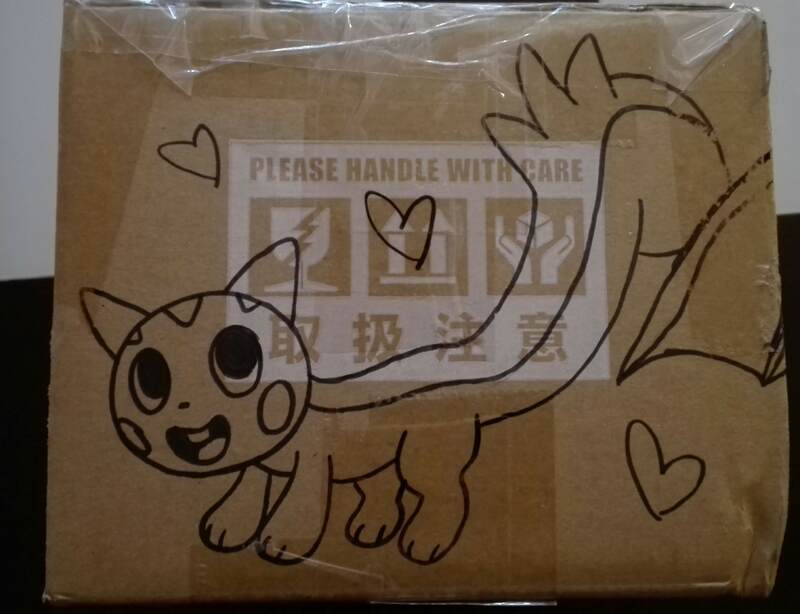 Yesterday the mailman left me a "come pick this up" slip in the mailbox and upon checking it could only be one thing... my SSS! Though I was quite puzzled. You see, when we got assigned our host I proceeded to check who else was in my group to get a better idea on what I might have to purchase and preemptively put together a watch list... the thing is that when I checked I didn't see anyone from Australia! You're one true SECRET swaper, well hidden among all the applications to be a true surprise to me! 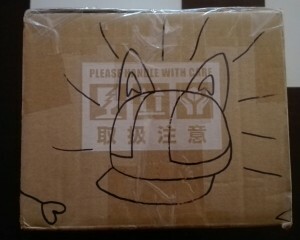 Look at those precious marker drawings on the box, you have such a cute style! 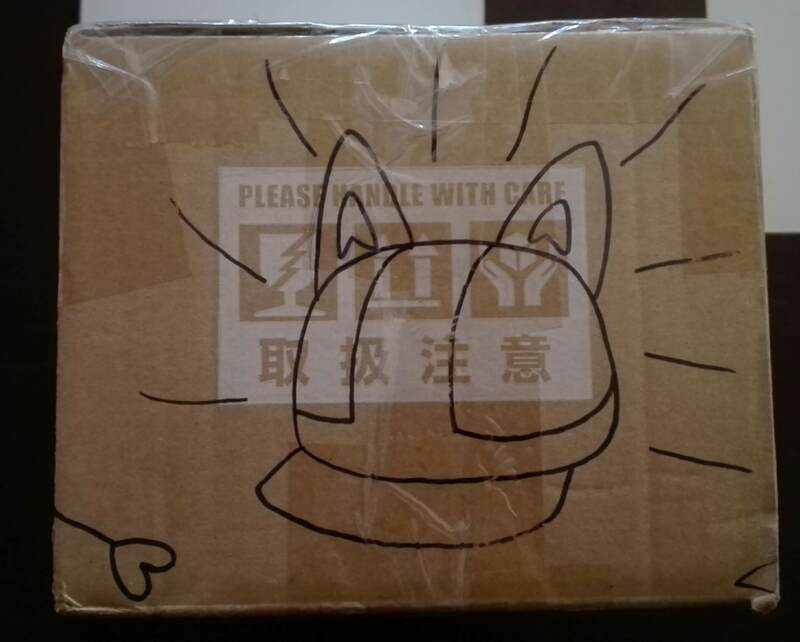 Thanks so much nerucake !!! I loved everything!! Need Some Help/Advice for Carousell! And Another Card Get! Hello all, happy Free For All Friday! 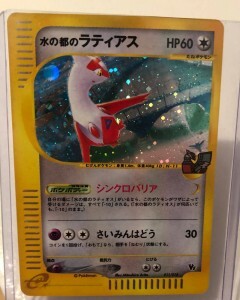 First of all, I would like to thank silvallyzel for this wonderful Latias promo card! This was the promo card that was released along with the 5th movie! And now onto my question! 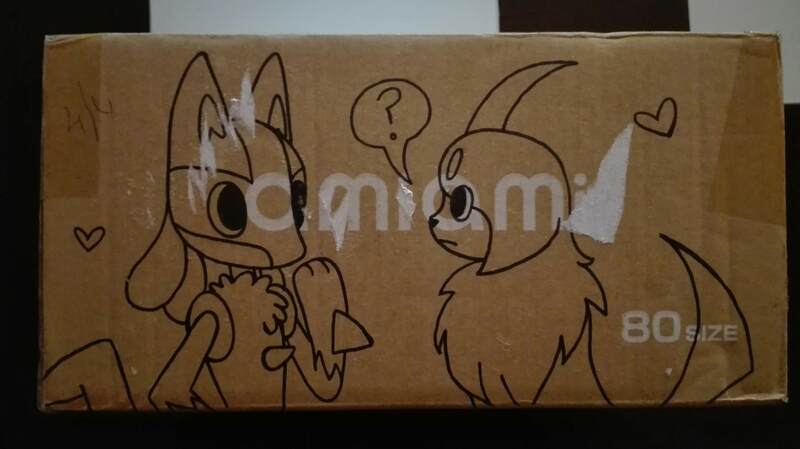 So I've been looking for a certain Latias plush lately, the Petite Pastel plush! However, the only place I've seemed to have found it so far was on a listing on Carousell. It has come to my attention that this site only caters to residents in Singapore and other countries around that area. However, as I am a USA collector, so I would have no way of purchasing it on my own. So I'd like to ask, is there any sort of middleman service available for this site, like there are a lot of middleman services for Japanese sites? Or is there any member here in Singapore that would be willing to help me out? Any sort of help and/or advice would be appreciated! Thank you so much for reading guys and have a wonderful day/night! Sales permission granted on 4/5/2014 by Allinia. I ship from Florida shop prices are in USD. Small wants list + a general community question! I figured I might as well share my small wants list plus a question for the rest of y'all! 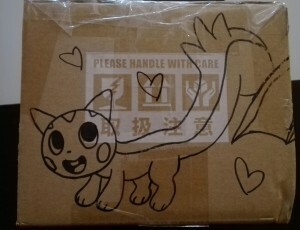 D215LAB x Pokebox Milotic plush, preferably looking to spend $35 or under including shipping, maybe willing to do $40. This one isn't really specific but I love artist-made stickers and other small merch like that, so if you know of any cute ones, please let me know! There's more I want buuuuuut I'm spacing out on what they are right now so I'll probably come back to this and edit it at some point! SO... I'm really into looking at custom plush, they absolutely amaze me and I'm actually slowly trying to learn how to do them myself! 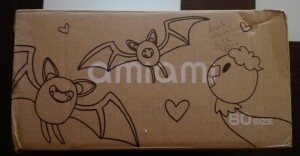 So, I had a related question for you all: What would your dream custom plush be? If you could commission anyone for any kind of plush, what would it be! A pokedoll styled beedrill? A beloved starter? Any specific pose or accessories? Tell me all about it!